Caught Up | Elaine Reads . . . constantly! I have finally caught up on all my book reviews and my journaling. It is time to get back to Steamed by Katie MacAlister. I started it a week or so ago, but it was interrupted when a shipment of books I had been waiting on arrived. 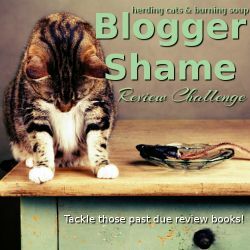 I promise MYSELF that I will not get behind in the book reviews again!